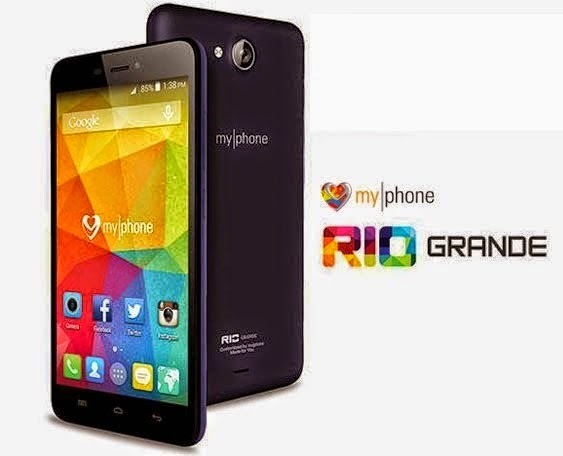 MyPhone welcomes another device to the popular Rio series called the Rio Grande. Living up to its name, it’s the biggest phone in the family sporting a 5.5-inch display shading the 5-inchers like MyPhone Rio and MyPhone Rio Fun. Specs-wise, the Rio Grande is a capable handheld with its 1.3-gigahertz quad-core processor and Android 4.4.2 KitKat operating system. You’ll get the 512MB of RAM and 4GB internal storage with up to 32GB expandable memory via microSD card. In terms of camera, the phablet sports a 5-megapixel rear shooter and a VGA front camera. 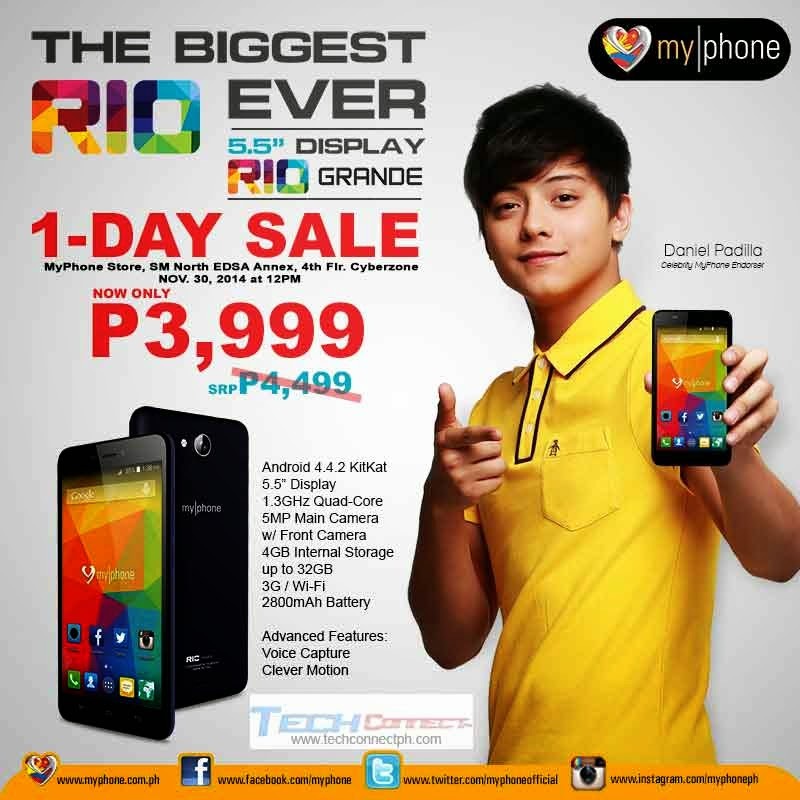 For those of you who are looking for an affordable device with bigger screen real estate, this Rio handset might be the one for you. The device will retail at Php 4,999, but it will be on sale for just Php 3,999 today, November 30. For the specs-initiated, check out the rest of the features below.